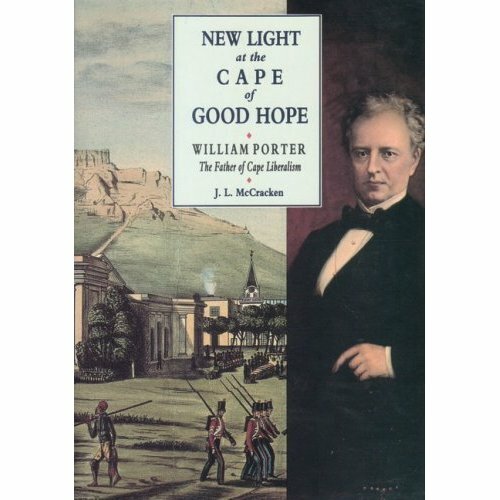 William Porter was born in Limavady in 1805. His father was a Presbyterian minister belonging to the liberal, New Light group in the church. Porter was called to the Irish Bar in 1831. His own and his family's strong liberal convictions led to his appointment in 1839 as attorney general of the Cape Colony during a short-lived accord between Daniel O'Connell and Lord Melbourne's Whig government when prominent liberals replaced the Tory Ascendancy as dispensers of patronage. Porter came to the colony, he said, with an unspeakable hatred of oppression of every kind. As attorney general he insisted on equal justice for all, blacks and whites, masters and servants. He also used his ex-officio political role to promote, and win accepability for, his liberal convictions. The constitution he drew up in 1854 provided for a parliament elected by blacks and whites on equal terms. After retiring in 1865 he was elected to parliament and worked for responsible government, for religious freedom and for the propagation of such advanced ideas as the abolition of capital punishment and the higher education of women. Porter declined all offers of honours and promotions - a knighthood, the chief justiceship, the prime ministership. In 1873 he returned to Ireland and lived with his brother Rev. John Scott Porter in Belfast until his death in 1880. His will reflected his devotion to the Cape in the large donations he made to public institutions there. Prof J. L. McCraken was born in Co. Down Ireland in 1914. After graduating in History from Queen's University in 1936, he then went on to teach History in Wallace High School as well as serving as their vice principle until 1945. He then moved to Witswatersrand University to become a lecturer in History. While at Witswatersrand he completed his PhD from Queens university.